Like most issues involving equipment selection, this one needs to be looked at with sober thought before you run out and buy. So first, lets take a look at some possible reasons you might need a protective mask. 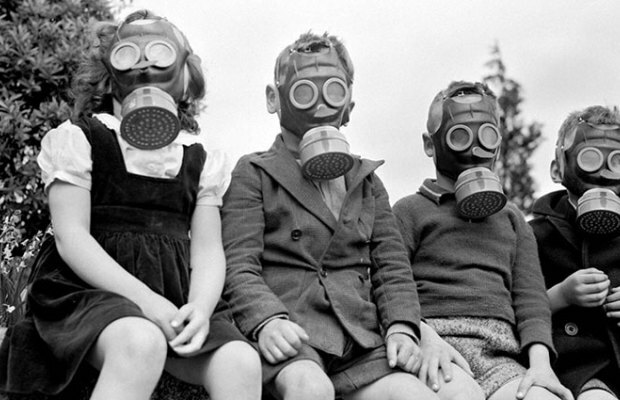 Nuclear, Biological, Chemical Agent (NBC): If you are concerned about nuclear attack, live near a nuclear plant and worry about leaks and meltdowns, or are concerned about a terrorist chemical or biological attack, you might have use for a mask. 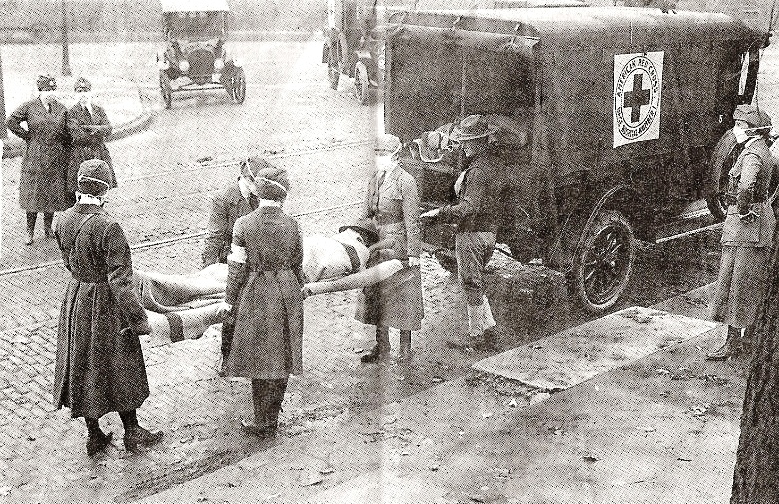 Disease Pandemic: Concerned that you may have to travel through an areas where a pandemic is taking its toll on the local population? Riot Control Agents: If you get caught up in a civil unrest situation where the authorities are using crowd dispersal agents, a mask could be useful. Traveling Through an Area With A Lot Of Decomposing Bodies. Human or animal. Not a pleasant thought, and unfortunately a subject that seems to be avoided in most prepper circles. O.K. So any of the above scenarios might indicate that having a proper protective mask might be useful. But there are some limitations to masks you have to understand. 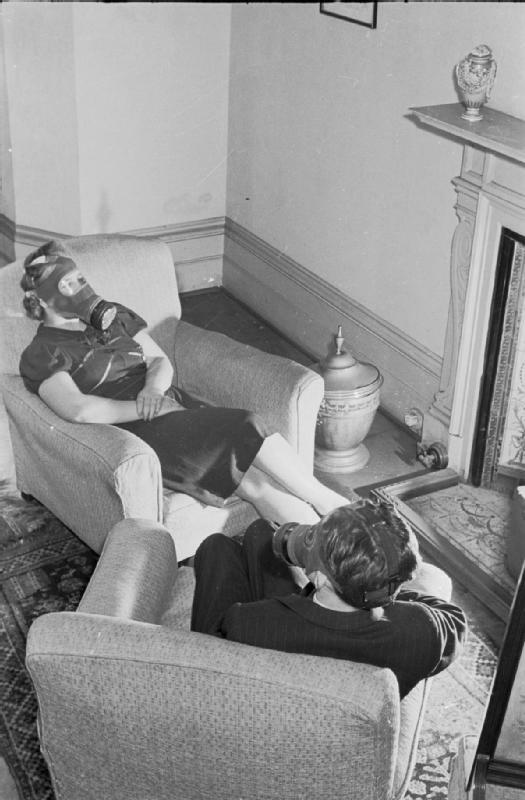 A protective mask is designed to protect your lungs. To prevent you from inhaling harmful substances into them. It will not protect your body from radiation, nor will it protect you from absorbing harmful agents through your skin. To get the full benefit of a mask, you have to also know how to protect the rest of your body from a variety of harmful agents. Masks are uncomfortable and many restrict your vision. Depending on design, they can be difficult to operate a shoulder weapon when worn. And when you need it, you need it NOW! That means you need to get used to having it pretty much on you constantly, or at least in danger areas, and you need to practice, practice, practice putting it on quickly and correctly. Just like the military. Still interested? Types Of Masks: There are types of standards you need to be aware of. These standards determine what level the mask will filter. FFP3 Filters at least 99% of airborne particles. (European standard EN 149 ). P3 Filters at least 99.95% of airborne particles. (European standard EN 143 ) P99-P100 Filters at least 99%, 99.97% of airborne particles (NIOSH-Approved U.S. standards). 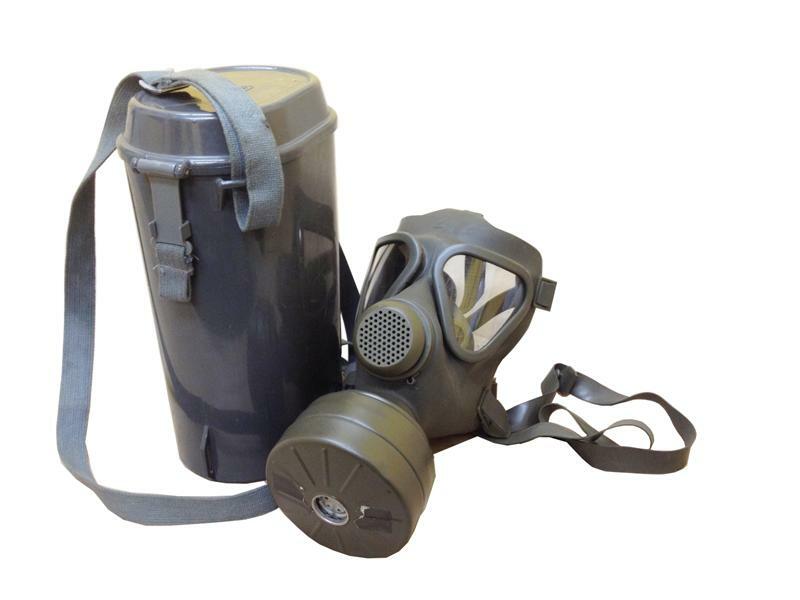 Make sure the mask and filter is rated for chemical blowing and riot control agents, designated by the CBA/RCA rating, and nuclear, biological and chemical agents, carrying the NBC rating. Surplus or Commercial: Be very leery of surplus military masks. There is a reason they are surplus. They may be old, worn out, or out dated. Masks are relatively an expensive investment for militaries. However, there are some good ones on the market that have been in storage since manufactured and were simply replaced by newer models. You want to insure that you have a mask that will take the standard NATO 40mm filter. Regardless of the date of your mask, you need to have relatively new filters. And a number of spares! Shelf life of filters will depend on the packaging, but if they are in vacuum sealed packets they should last a l ong time before use. Desirable Features: The first issue is that the mask will have a good seal. I will discuss checking your mask later in the article. Some masks have drinking tubes that you can connect a canteen to and drink water while masked. You mask should be able to use NATO standard 40mm filters (LEARN the markings on the filters. Some filters are for training use only and would be useless in a real scenario. 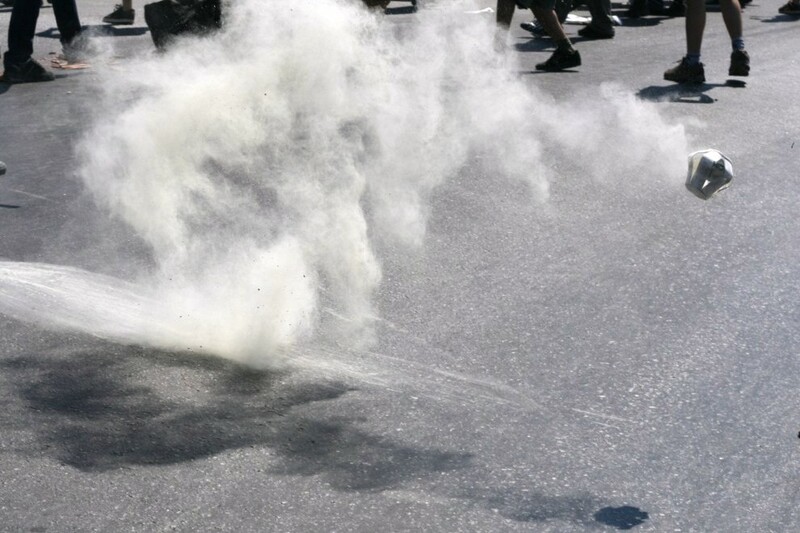 Some filters are good for riot control agents but not other threats. Buy new manufactured filters and avoid surplus filters with old dates). A voice enhancing mechanism would be desirable for communication. Old US M17 series masks with cheek filters. These are hard to replace and tedious to change. These filters are now difficult to find. Trust me on this one. I have spent hours on them in the Army. All Russian, East German surplus masks. Poor quality and dubious condition. M9 gas masks with the 60-mm size cartridge. The filters for these masks are oddly sized and are not compatible with the NATO standard 40mm filters. Mask availability: This is an area you really need to do your research and shop around. Since the Ebola scare, quality masks are being bought up rapidly. A good quality mask that you can rely on may either be military or commercial but can cost you some money. Do not let price be a deciding factor. Do your research, learn the subject, shop around. AGM stocks a large number of masks, filters and accessories. They also sell a kit to enable you to test your mask to check the fit of your mask. Another company, The Survival Center, also carries masks and supplies. There are two masks I have extensive experience with. The U.S. M-17 masks I used in the Army, and the German Draeger M-65 military mask. I still use the Draeger I bought brand new years ago. It is a good mask. They can be bought very cheaply on E-bay but make sure they are unissued (not surplus) the rubber isn’t brittle or cracked, and TEST THEM FOR PROPER FIT AND BUY NEW FILTERS before you commit to relying on them. 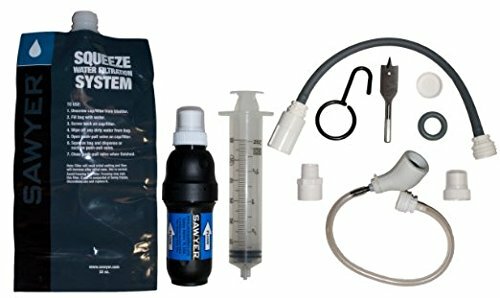 You can buy a kit as mentioned above or you can perform your own test. Remove the filter(s) and cover the intake hole with your hand. Breathe in and the mask should collapse on you face and remain collapsed for at least 10 seconds. If it doesn;t make sure you are closing off the air intake completely or adjust the fit using the adjustable straps. Do the test in reverse. Exhale and the mask should not alow air to escape. Guys, understand that facial hair may and probably will interfere with the proper sealing of the mask. 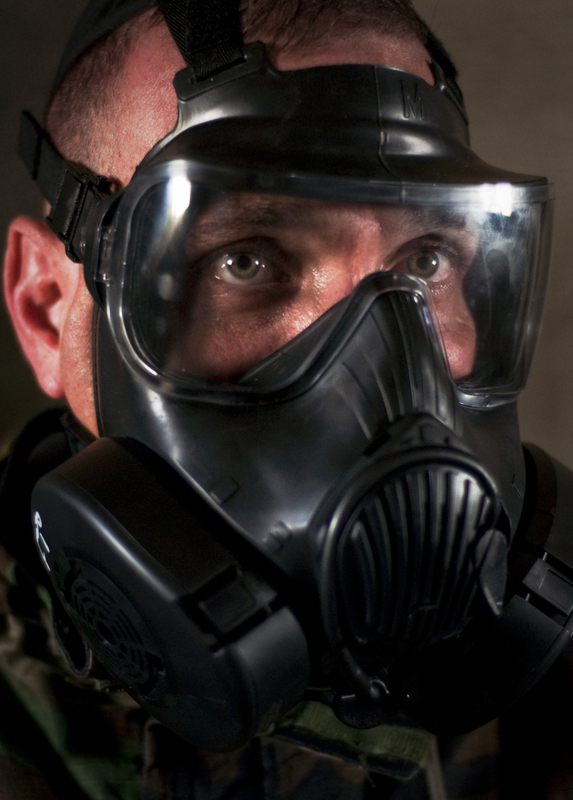 Like any other item of survival equipment, having a mask doesn’t mean you know how to use it. Military standard is to don, and clear your mask in 9 seconds. Are you willing to train with your mask until you can do that? Having a protective mask may or may not fit into your prepping plans. But if you decide one is appropriate, do your research, know the subject, and buy the best quality mask you can afford. Then TRAIN with it. – FFP3 (99%) is a mask mostly made of filter material (disposable). In the American (NIOSH) standard, R versions are oil Resistant and P version are oil Proof. Next would be the poor man’s PPE. Will look forward to reading it on Saturday.